When it comes to step ONE in healthy eating, I always come back to meal planning. 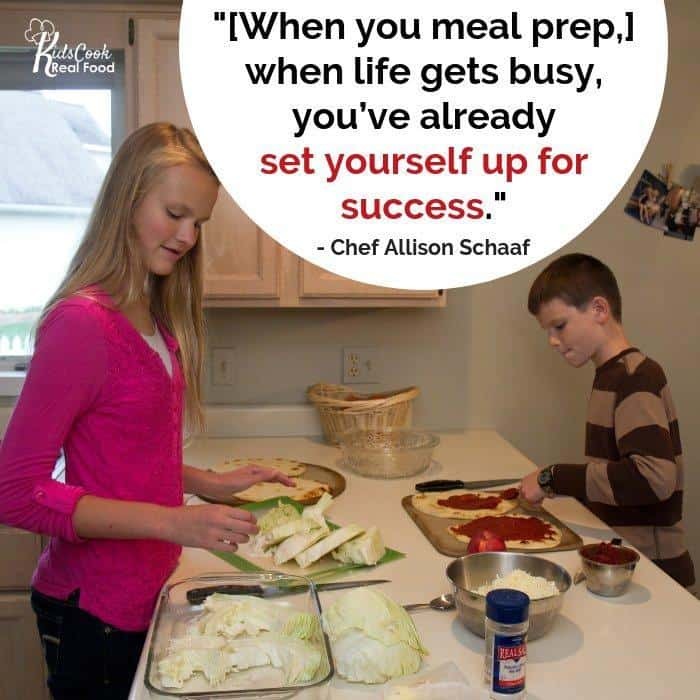 I invited Allison Schaaf, pro chef and founder of Prep Dish, to chat with us on how to make it happen and some unique strategies she uses that are perfectly suited to families teaching their kids to cook! This week she has a special for listeners of The Healthy Parenting Connector: Join in on the 21-day Challenge. You will be prepping 21 days of healthy breakfast, lunch, dinner and snack recipes. Prep dish will create your shopping list and organize your prep to make meal time simple and effective. Check it out here. Some tips from a chef for getting kids excited about involvement in the kitchen! If you’re not so sure, grab our knife skills video for FREE! Meal Planning Video Time Stamps! 1:05: It seems like a lot of people start out with a “normal job” and then have a health awakening as an adult and get a second degree in nutrition. Allison started out her career in the nutrition field. She shares how she developed a love of cooking as a teenager. As an athlete she was also aware of the health aspect of what she ate and dreamt of combining the two into a career. 3:49: When it comes to talking about nutrition, we hate to overwhelm kids with too many nitty gritty details. 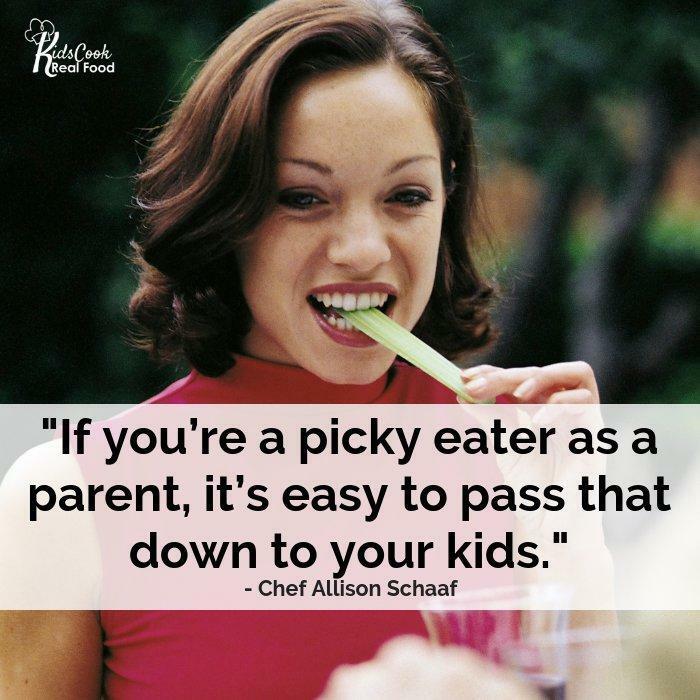 Allison shares how she educated kids on healthy eating without overthinking it. Don’t focus only on the negatives, make food fun and enjoyable. Let them pick out new things to try, help you cook new recipes and experiment. Teach them about the healthy foods and where they come from. 5:21: Allison loves to start in the garden to show kids what healthy food looks like. Expose your kids to different foods in their natural form, not just out of a box. Model trying new foods as parents to encourage your kids to be adventurous when trying new foods. 6:19: Kids will absorb the language you use to talk about food, diet and body image. Be aware of how you speak about these things and what you want to convey to your kids with your words and tone. 6:48: Allison’s basic rule for determining how healthy something is. 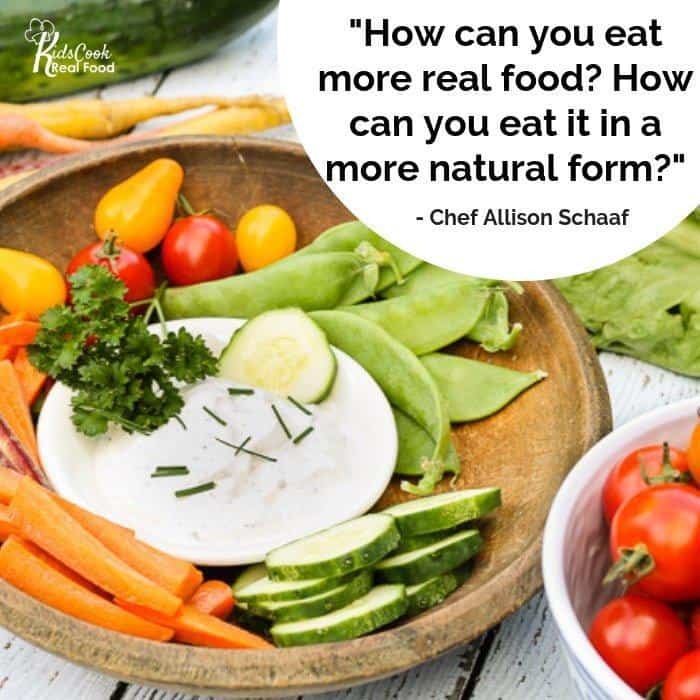 7:00: Teach kids early on to recognize when they’re eating processed food versus food in its natural form and to have an interest in eating real food and reading labels to see where something falls on the spectrum from fresh, real food to slightly processed to highly processed. 8:12: Allison’s meal planning service, Prep Dish, helps families eat better by laying some of the groundwork for them. She shares how she decided to focus on meal planning and why it’s so important for healthy eating. 10:25: What makes Prep Dish different from other meal planning services? In addition to a meal plan and grocery list, you get instructions for batch prepping once a week. This means you not only know what’s for dinner any given day, you also have some of the work done. 11:41: Allison’s best, golden nugget tip for helping families eat more healthy food. 13:29: What about those of us who don’t like feeling boxed in by a plan and want to be more flexible and free to decide what we eat each day? Having a plan doesn’t need to be rigid. Allison and Katie share some tips for having a plan, but allowing for spontaneity. 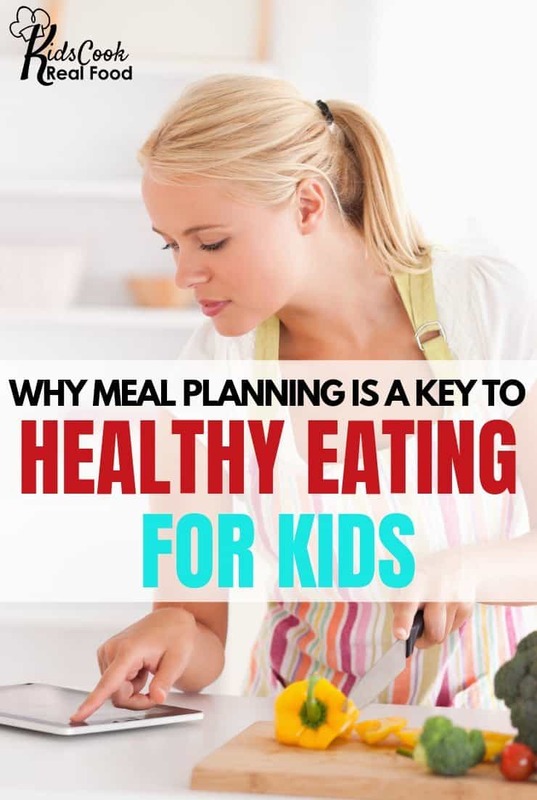 15:31: Meal planning is not part of the curriculum of Kids Cook Real Food. We talk how to get our kids involved in meal planning and prepping. Having a dedicated meal prep time allows you to involve kids without feeling like you need to rush to get dinner on the table and don’t have time to supervise your little helpers. 17:01: A fun bonus of having everything prepped and everyone working off one plan is that family members can pitch in and get dinner in the oven easily. 17:37: Prep Dish is a great way to introduce new foods to your family. New recipes becomes the expectation and the new normal. See what people liked or didn’t like after the meal, ask your kids what they would like to put on the list for next week, and let them have a say in your meal plan. 19:19: A common strategy recommended to busy families is to choose four weeks or even two weeks of recipes you like and repeat. While that’s great for efficiency, it doesn’t expose your kids to new things. If you even have one new recipe a week, the expectation is set that you will be trying new things and experimenting in the kitchen. When you have a little bit older kids, they can choose a new recipe to make themselves and that’s a great way to encourage exploration and allow your kids to feel invested in your family’s healthy eating. 21:00: There are so many systems and styles of meal planning these days. There are also so many memberships that will do it for you. Each connects with different people and what works for you is very dependent on your personality and lifestyle. The thing Prep Dish users are really drawn to is having that prep time laid out for you and included in the planning. 22:27: What types of foods are included in Prep Dish meals? It’s all gluten-free, and there is a paleo option. There are substitution ideas given for pork, seafood and nuts. Dairy is always optional. 23:11: Ending on a fun note we hear Allison’s favorite meal as a child and now. This week Allison has a special for listeners of The Healthy Parenting Connector: Join in on the 21-day Challenge. You will be prepping 21 days of healthy breakfast, lunch, dinner and snack recipes. Prep dish will create your shopping list and organize your prep to make meal time simple and effective. Check it out here.